On the exceptionally hot days, leave your pets at home, if possible. Generally, they are safest and healthiest in their normal habitats. It is better for your pet to be lonely for a few hours than exposed to the extremes of a desert environment. Leaving a dog, cat or any pet in a parked car in the sun of a hot summer day is only asking for trouble. Interior vehicle temperatures can reach 160 degrees Fahrenheit or higher. Opening a window will not provide enough ventilation to cool a pet. Pets can die or suffer permanent brain damage in less than five minutes at those high temperatures. In instances where people have left their car with the motor running and the air conditioning on to maintain a comfort level, there have been horror stories in which pets have accidentally put vehicles into gear. The car has rolled and the pets and humans have suffered the consequences. A pet will be healthier and happier at home. Don’t tie up a dog anywhere since it may become tangled in the line, trapped in the heat. This is considered animal cruelty and is illegal in many areas. If you enjoy hiking with your dog, make sure the animal is in good physical condition. Prepare as you would for any hike, but add to your list of needs the requirements for your dog such as extra water. Bring a portable pet water bowl and damp towels in a plastic bag. Give your dog rest time in the shade no matter how well conditioned your pet is. Just because you are rested, it does not mean your pet is. Consider a longer rest to protect your pet. Since dogs cannot communicate physical distress until the situation is serious, be a careful observer of your dog’s needs. Train your dog and make sure the trail you choose is dog friendly. Pick up after your dog, for obvious reasons. Remember that heat exhaustion is very common with dogs. Early signs include rapid breathing, heavy panting and salivating. Other signs include fatigue, muscle tremors and staggering. Don’t allow your dog to get to this point, and if he does, take the dog to the coolest, shadiest place available and apply wet towels or cloths to help the dog’s body cool down. Try to give the dog small amounts of water and contact a veterinarian as soon as possible. If you must leave your pet outdoors on hot summer days, make sure it, and any pet shelter, are in the shade during the entire day. What may be shady in the morning may be a hot, sunny spot as the day progresses. Your pet needs shade to stay cool. It is possible to purchase items that help shade your animal including pet tents. It is well worth the investment for the safety of your pet. Leaving your pet outdoors on hot days has another disadvantage. In the desert, a hot sunny day can turn swiftly into a violent summer monsoon storm, complete with lightning, thunder, flooding and violent rushing water. Never leave your pet outdoors if there is a chance of a lightning storm. When the desert monsoon season begins, desert toads (Colorado toads) emerge from their burrows. These are highly toxic to dogs. Your dog may be interested in the toad because of natural curiosity, or the toad might go to your dog’s bowl of water. 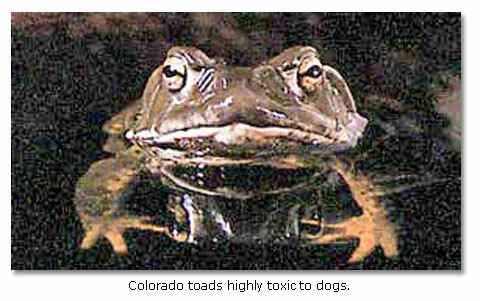 Any contact, including drinking the water in which the toad has been, can be fatal for your dog. Newly developed areas have these toads. You will not always see them since they spend much of their lives beneath the ground. Check your yard frequently for them before allowing your pet out in the backyard. Pets kept near swimming pools are vulnerable to drowning. Though you can potentially teach a dog to swim its way to a step if it falls into a pool, the best answer is to keep all pets away from pools. Keep gates locked around pools as well as Jacuzzis and hot tubs. If you keep a cover on your pool, make sure it can support your pet’s weight in case your pet decides to walk on it. Keep your pets away from hot grills. The danger is obvious. Check the heat of the pavement before walking your dog. People who have moved to the desert from other areas and new pet owners are often unaware of just how hot the pavement can get. If you cannot keep your hand on the pavement, it is too hot for your pet. 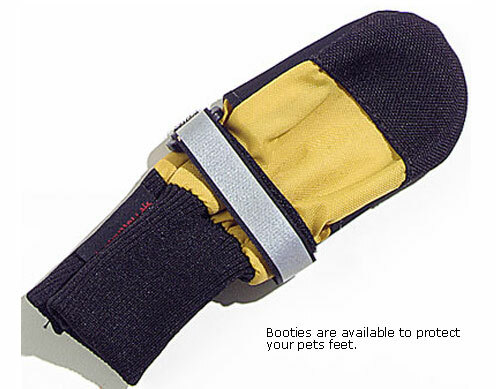 Booties are available for this purpose, but even these are not always a good alternative on the hottest days. When in doubt, let your dog protect its feet by walking on grass or in the shade. You would not expect your dog to walk on hot coals. That is what the summer pavement is like on hot days. In the summer, provide a large water bowl that will not tip over. If the water is outdoors, leave it in a shady area so it stays cool. Automatic watering bowls tend to stay cooler. There are various new products available that refill pet bowls automatically. They are well worth the expense. If necessary, leave more than one bowl for a pet. If you have multiple pets, provide multiple bowls. In addition, wash the bowl well because evaporation tends to leave algae and calcium deposits. Do not feed your pet outdoors. The pet food can spoil in extreme heat and it can attract predators such as skunks, javelinas, coyotes, bears, bobcats and even mountain lionsall a danger to your pet. The food is also an attraction to the poisonous desert toad. Keep your pet indoors during celebrations such as the Fourth of July. Fireworks tend to frighten pets. Occasionally, in fear, they will bolt and get lost. It is also possible for a stray firecracker to wind up in your yard, potentially injuring your pet. 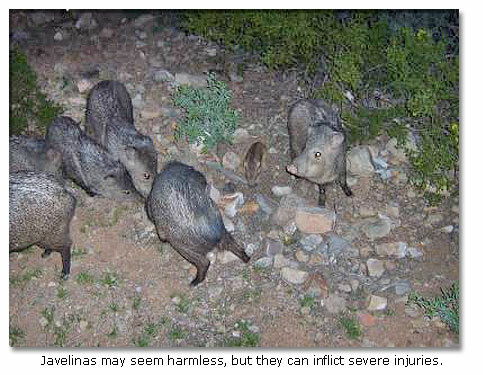 If javelinas visit your property, keep your dogs away from them. Though they may seem harmless, they can inflict severe injuries. They have poor eyesight and startle easily. If you are walking your dog and encounter javelinas, keep your dog close to you and leave the area. Rattlesnake bites can be deadly. They require immediate veterinary attention. There will be immediate, painful swelling around the bite area. Keep your pet as calm as possible and transport it to the vet immediately. If you know your pet has been bitten but cannot identify the type of snake, the vet can administer a test to check. (The Humane Society of Southern Arizona offers Snakebite Avoidance classes.) Preventative measures include keeping your dog leashed, avoiding walks on summer nights, when snakes are most active. Do not allow your dog to investigate bushy areas, rocks, or areas where snakes may be hiding. Rattlers are territorial, so if you see one, avoid that area in the future. Gila monsters, while not aggressive, will bite if provoked, and the bite is severe, painful and poisonous. Gila monsters hibernate and are sometimes trapped in the yards of new homes that were built during the winter. Tarantulas, in addition to being venomous, have barbed abdominal hairs that can become embedded in your pet’s face, causing extreme irritation. It is very difficult to relieve your pet because the hairs are nearly impossible to remove because of the barbs. 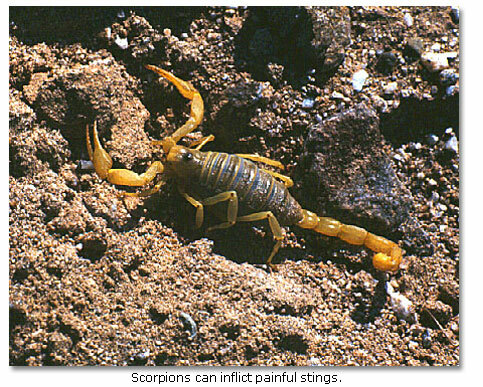 Scorpions can inflict painful stings. To prevent stings, clean up rock and brush piles from your home and do not allow your pet to dig under rocks. If your pet is stung, do as you would with a human. Apply ice to the area and seek medical help for further advice and monitoring. Valley Fever is a disease caused by a fungus that occurs in the soil of the Southwest. It can afflict both humans and many companion animals, but it is NOT transferred between them. It generally causes problems when the immune system becomes overwhelmed. The severity varies greatly and there is no vaccine, just treatment. Symptoms include fever, weight loss, and cough, but these symptoms can be caused by other problems. If you suspect your pet has Valley Fever, consult your veterinarian for assistance. Letting your cat or small dog out by itself raises the risk of losing it, even in a fenced yard. In addition to coyotes, there are bobcats, hawks, and owls that are big enough to carry off a small pet. Even if it feels like you live in suburbia, don’t forget that this is a desert. 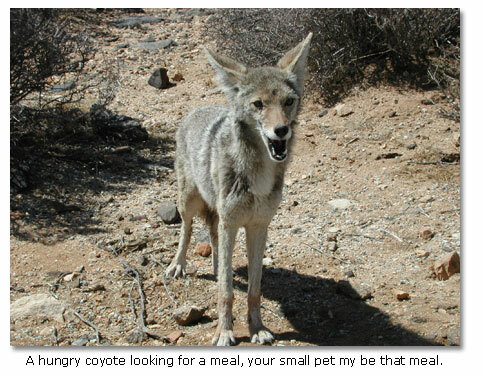 Wildlife moves along washes  looking for a meal  and if you leave your small pet outdoors, it might spell your pet’s demise. If your pet is an indoor pet, such as a hamster, a tortoise or any other small animal kept in a cage, keep it that way. Such animals may not fair well outdoors. Their bodies may not be suited for the heat. Chances of poisoning a pet accidentally is higher during the spring and summer. Fertilizers, herbicides, insecticides and fungicides can be dangerous or even fatal to pets. If your lawn or yard has been treated, keep your pet away from the area. Pets are good at finding poorly stored chemical products and chewing up the containers and eating and drinking the contents. Pet owners should be vigilant about storing these products. Some groomers believe the best way to keep a dog cool in the summer is to give the dog a close grooming. Though this may seem like a logical solution, it isn’t for most breeds. A dog’s fur is protection from the cold, the heat and the elements. For some breeds, long hair keeps them cooler than removing it. If you are considering a haircut for your pet, thoroughly research your breed and lean toward not getting the pet’s fur removed if the dog will be out in the sun. Like a human, the dog can get a severe sunburn and have no way of communicating this pain to you. There are other basic rules for the less common pets, for instance, horses, burros and goats. 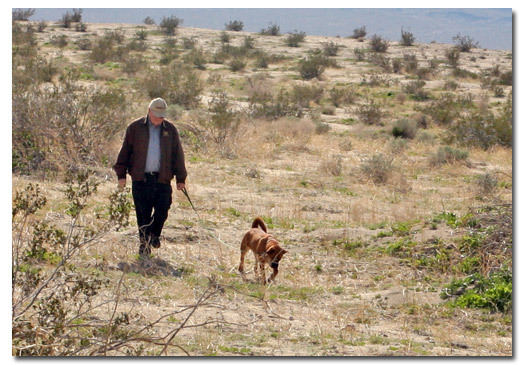 Become an expert about caring for your pet, whatever the species, in the desert. Your pet will appreciate it and will have a better chance of surviving.